Especially in Gran Canaria the radiation intensity of the sun is particularly high. Although the wind in Gran Canaria is relatively low in comparison to other Canary Islands, the risk of the sun is being underestimated especially in pleasant winds. Sun creams protect you against the dangerous UV rays of the sun; prevent sunburns and premature skin aging. In general you can distinguish between sun creams, sun-sprays, sun-gels and sun-oils. The various types are available with different sun protection factors (SPF) and sizes. The texture of sun creams is thicker, while sun gels are more liquid and are being absorbed quicker. Sprays are thinner than creams and sun-oils are for tanning. In addition, there is also water resistant sun protection. But even these are effective for only about 40 more minutes after they became wet. The sun protection factor tells you for how long your skin can be exposed to the sun with a certain sunscreen without getting sunburned. In order to choose the right one for you, you must first identify your type of skin. However, this rule is not applicable to children. For babies and kids you must always apply a high or very high light protection factor, since they still have a very sensitive skin. Never underestimate the power of UV radiation! It is extremely dangerous and can lead to skin cancer in the worst case. Your skin will also age early and form wrinkles without sunscreen. Each type of skin has a certain self protection time. If you stay in the sun longer than that, your skin will turn red and become sunburned. Damage due to the sun’s ultraviolet rays may also be felt on a later stage and then even lead to skin cancer. You should avoid sunburn and even that the skin turns red. Your skin does not forget a single sunburn. The hereditary substances of the skin cells store everything. In more than 80 percent of the cases, UV-B rays are among other the cause for developing skin cancer. Your skin will also age faster and form wrinkles. For this reason, it is particularly important to protect children with sun cream. You should also apply a sun protection in the shade, as 50 percent of the direct sunrays also reach the shades. Clothing is the best protection for your skin. Body parts that are uncovered must be protected with sun cream. 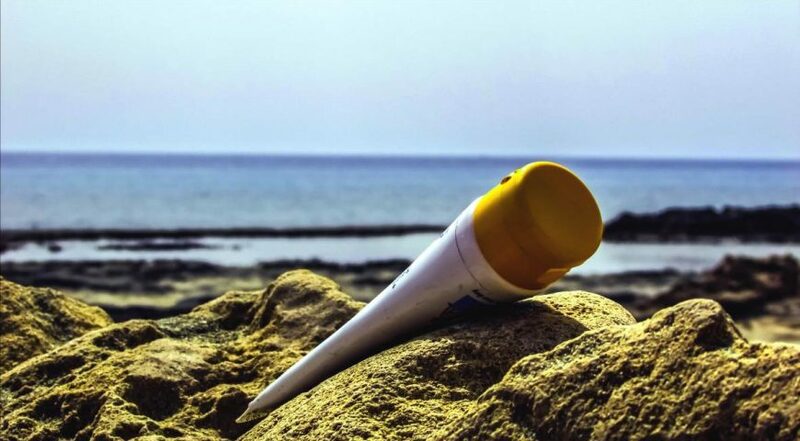 The protection of a sun cream acts on two levels. Sun protection products have physical filters that remain on the top of the skin. They ensure the reflection of the UV rays and repel them. The second level includes chemical filters. These are substances that penetrate into the skin and form a protective film. The UV rays are not reflected, but converted into harmless energy. Despite the protection by the sun cream, you should never exaggerate it with the sun. To simmer longer than 20 minutes in the blazing sun is not healthy. You should also repeat the application of the sun cream after going in the water. The sunscreen should be applied half an hour before tanning. Sun cream does not prevent you from getting a tan! However, it protects you from UV radiation, the risks associated with it and from sunburn while tanning. There is a product for every budget – at the discounter, in the drugstore, at the pharmacy or online. Mostly they’ll be cheaper online than in any shop around the corner. In any case, the most expensive sun cream is not necessarily the best; some tests-result proved the contrary. Nothing can go wrong in your Gran Canaria holiday with the right sunscreen. So put some sun cream on and off you go into the sun!